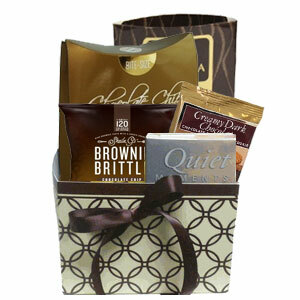 Send a gift that will perk up the spirit for any occasion. Quiet Moments gift book with messages of hope and healing. Gift arrives in a chocolate swirls gift box topped with a bow. It's wrapped in a clear cellophane bag then bubble wrapped and shipped in a box to the recipient.